Not Verified | Awful, worst airport I’ve ever been in. Security was totally unorganised, duty free and waiting area a mess and everything grossly overpriced. USA sending you home with good memories or experience! The home of customer service is majorly let down by this airport (terminal 7). 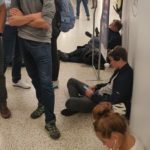 Not Verified | What an absolute embarrassment for an American airport. This is the first and sometimes only American operation thousands of international travelers see every day, and y'all should not be proud. I need to use the restroom, there is urine on literally every toilet seat, can't imagine the last time this place was cleaned. The plug is so old and used it can't hold my laptop plug in place, I'm having to keep my leg against it right now to keep my laptop charging. The wifi I kid you not is not allowing me to stream Pandora, a music service. This is 2019 folks, come on this is a first rate embarrassment for an American airport. Not Verified | Arrived from Manchester UK at 1.10pm. I was hoping it had improved since my last visit 4 years ago but I am afraid it was a shambles. The new esta system supported by self inputting machines make things worse and even then you still have to go through an interview with immigration. The hall was overwhelmed with people and staff who are very stressed and rude. I’ve been to four other American airports from the uk and this one exists from the dark ages. America you are letting yourself down. It’s a disgrace. We will not come back and I heard numerous other travellers saying the same thing. Not Verified | JFK is a third world airport. The lines through immigration are awful. The connecting flight process is terrible. There could’ve no worse introduction to people entering the USA. Dismal and pathetic for this to represent our country. 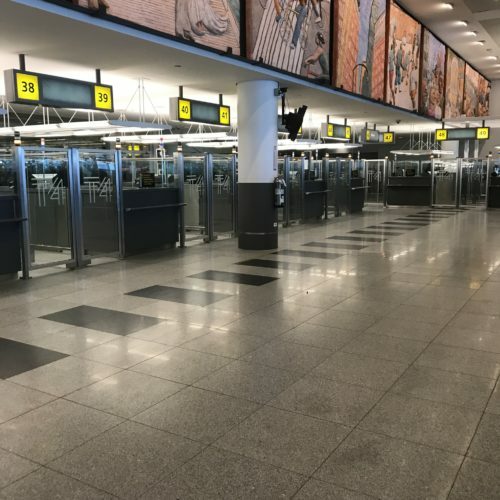 Not Verified | On arriving at JFK after a seven hour flight from Manchester I experienced what I can only describe as the most disorganised, inefficient, unwelcoming and stressful arrival into another country I have ever had. Total confusion and lack of clarity with no clear signage placed in the right positions is responsible in my opinion. The staff are abrasive and constantly shouting unclear instructions at the top of their voices. 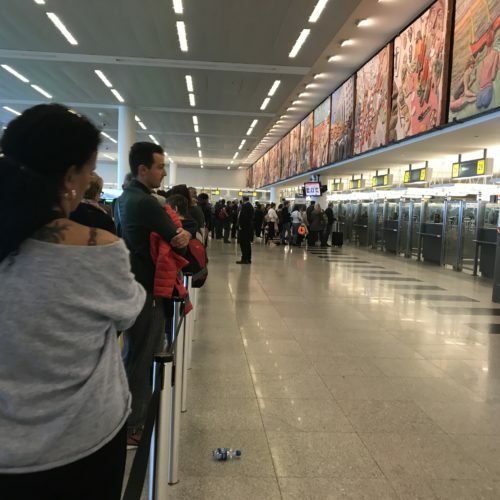 Long queues make for a very long wait together with the niggling doubt that you may be in the wrong queue because there is no clear signage or instruction. 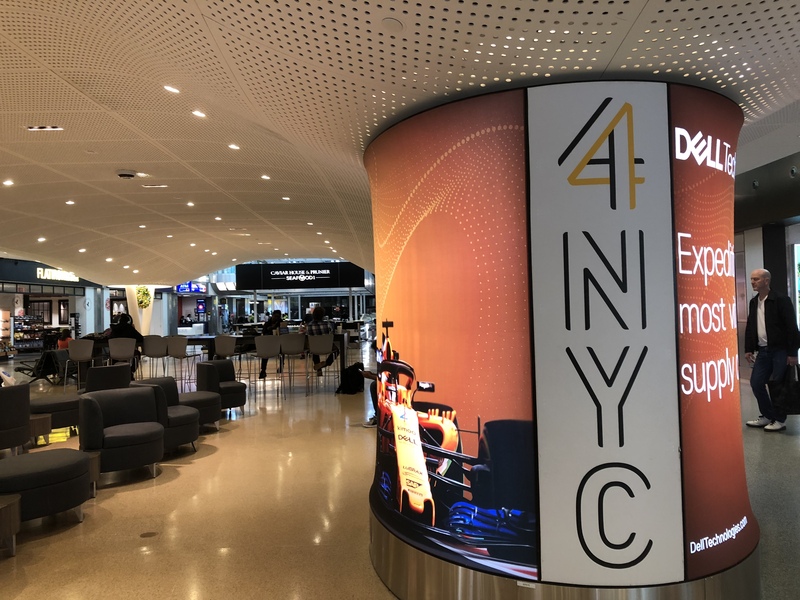 This was my first visit to New York, although not to the US, and my first impression of this city is one of very unwelcoming and rude customs staff. I have not experienced this at any of the other US airports I have arrived at. Surely someone needs to sort this out - perhaps management needs an overhaul. It seems ironic that the US prides itself on its customer service so what’s gone wrong here? 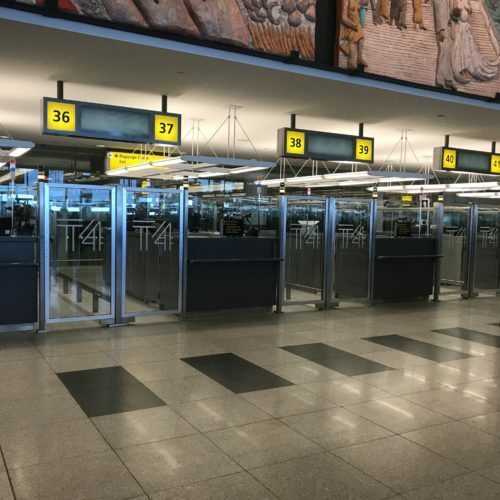 ✅ Trip Verified | JFK confirmed again today why it is my least favorite and most avoided airport. If it weren’t for the competitive international fares I’m able to acquire due to routing through this airport, I’d never come. My plane landed at 4:30a, closing out an all-night flight of 11-1/2 hours. We were first to Passport Control, but other flights also arrived and discharged their passengers. There were hundreds in line, and only one agent was checking in the sea of American citizens returning home. 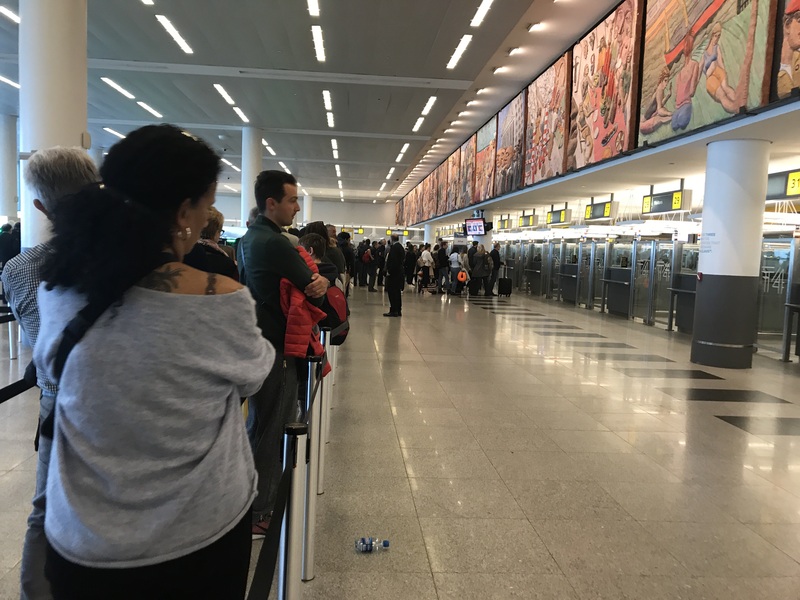 Airport staff barked directions at incoming passengers, but with no clarity or organization or apparent purpose, generating even more confusion and frustration. 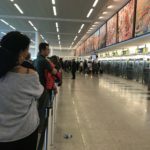 My husband and I were near the front of the line; still, it was an hour before our passports were cleared. Exiting Control we followed signs for Connecting Flights. The main Connecting lobby was closed, so someone shouted from the top of the escalator to come upstairs. Once there we had the “pleasure” of joining all the Departing Passengers - both those Connecting (like us) and those just starting their trips. We stood in long Security lines, were yelled at by TSA staff or rudely ignored, and ultimately had three of our five parcels inspected/rifled. The airline staff has been courteous and helpful and genuinely concerned with passenger comfort and safety. The JFK airport staff, however, is the complete antithesis. How embarrassing for all of us, knowing that millions receive this sorry treatment. Get your act together, NY. Future passengers, be warned. Maybe your experience will be a good one. Or maybe you, too will take away the degrading experience that was mine today. 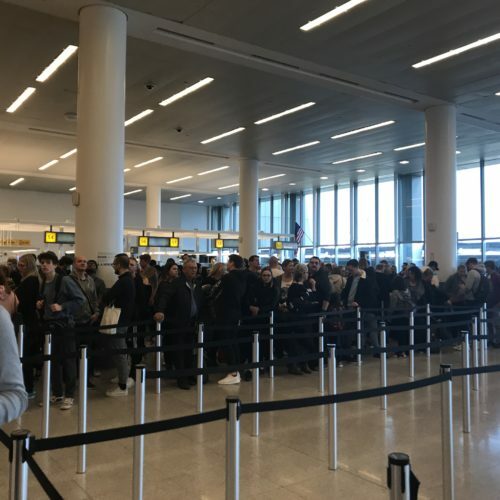 By the way, airport staff are warm and friendly with each other, even as the passengers they serve are wearily (and angrily) working their way through JFK’s cattle call process. "lack of staff and information"
Not Verified | Travelling from the UK to New York myself and my wife landed about 4 pm on a Tuesday. We had to suffer over 2 hours of queuing in passport control which is totally unacceptable. We were penned in “cattle lines” for the duration. A total lack of staff and information. On exiting to the luggage carousel we couldn’t see a carousel with our flight on it. After walking about with no help or advice from staff we found our luggage lying in a pile in the corner. Things improved on the return as there was adequate staff. I will not use JFK again! Not Verified | JFK, terminal 1 - don’t go there if you are hungry, food is terrible even for airport standards. I have been through many airports in my life. 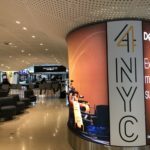 Staying in terminal 1 in JFK is one of the worst experiences for a long time. Had “dinner” at The Local - The food was worth a -2 star (minus 2) - had one bite of a burger and left the rest of the really overpriced food. I have never tasted something so bad and non prepared, not even ketchup could save this. Looking at the other restaurants and the ratings I can only imagine how bad they are as well. Not a single one have more than 3 stars and most are closer to 2 stars. JFK, JFK - what are you thinking having these bad restaurants? Is it on purpose, you would like a perfect vacation ending badly? It really feels like you do not care at all. The customer potential is huge, so why having all these non quality “restaurants”? To be honest I am amazed that “The Local” even have a license to serve food. For sure I will not put a cent in this terminal in the future. JFK, wake up now. Not Verified | Horrendous experience. I’m actually writing this as I’m stood in queue to get through passport control. So far it’s been a 1.5 hr wait with what I estimate to be another half hour at least till we actually get to the front of the queue. There is only 2 desks on (1 disabled and 1 able bodied) despite there being over 60 kiosks within the floor. We have a connecting flight to Las Vegas which I doubt we will actually make and there have been no apologies from staff in the slightest. There are no clear signs anywhere except throne at the start of the long snaking queue to say it would take 35 mins (which means that it’s now out by over an hour). Not a staff member in sight. Horrendous customer service with no professionalism. I can’t see any toilets and I am so thirsty it’s ridiculous. No refreshments. As I take over 33 pills a day for my illnesses I often need a drink as I get a dry mouth. No common courtesy given to anyone visiting this supposedly customer service friendly country. This isn’t at all about safety, this is purely down to an incompetent management. My advice - sack them all and start again! Terrible start to the holiday, was planning on visiting NYC with my daughter this coming February but definitely rethinking this after our experience today. Never known anything like it! I’ve attached photos of the queue (now 1hr 50 mins in) and the empty booths so you can see how inept staff are at making sure customers are dealt with swiftly and securely. This review wouldn’t allow me to leave a zero score as it’s needed a minimum of 1 star however if up to me then it would be a minus score. Take my advice fly into any other airport other than this one! Not Verified | The most awful airport I have travelled through in my life - and I have travelled a fair amount. The security check was very long, we had to wait about 30+ mins to get through and the queue wasn’t even that long. They had stopped and searched a woman and because they didn’t have any other woman officers, none of us women waiting could go through until they found what was setting off the alarm on her, again adding to the wait. The conveyer belt is the shortest I have seen which means all the baggage piles up until you are through the security check. Their website is wrong and they have very limited, over priced food options available which are limited to burgers or burgers or have I mentioned burgers! As a vegetarian and health conscious person this really has set me off on the wrong foot for our journey home. The shopping options again, are very limited and quite frankly equals to or even worse than a local small airport. I’ve heard BA had “invested” in the airport to make it better. I fear to think how it must have been before.